14 x 16", 190hp @ 130rpm HPNC engine; firebox boiler. Dismantled Wolverine Dry Dock, Port Huron; machinery put in new tug F. J. HAYNES Sep, 1895; hull sold by Charles D. Thompson to gentleman from Wallaceburg, ONT, Dec 1895. 1876 Owned Cheney et al, Buffalo, NY. 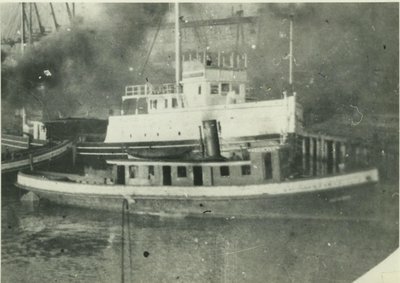 1892 Owned Maytham Tug Line, Buffalo, NY.